JNN 09 July 2014 Sanaa : Yemeni Shiite rebels seized control Tuesday of the northern city of Amran, near the capital Saana, after three days of fierce fighting, an official said, according to Agence France-Presse. “Amran is now under the control of the Huthi” rebels, who are also known as Ansarullah, said the official, whose remarks were confirmed by military sources and witnesses questioned by AFP. 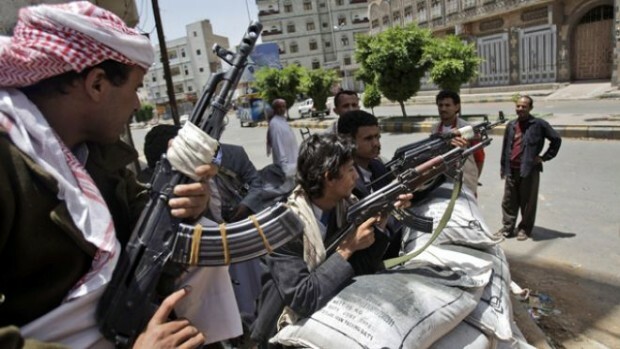 The Houthis seized all of Amran, including police stations and the headquarters of an army brigade which is based in the city, said the sources. Their fighters were in control of entry and exit points to Amran in the evening, while others patrolled the city itself, one of the sources added. Amran, 50 kilometres (30 miles) north of Sanaa, is home to an estimated 120,000 people. 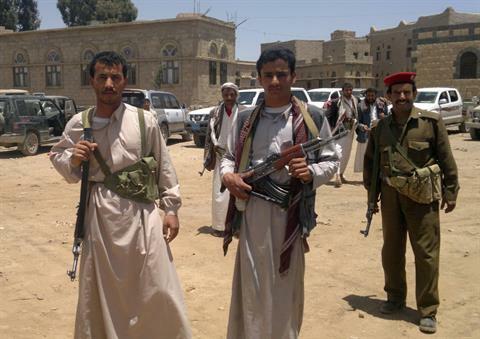 Shiite Houthi fighters, officially known as Ansarullah, blamed army units linked to the rival Sunni Muslim Islah party for breaking the June 23 ceasefire last week when government troops advanced on an area in al-Jouf province. U.S.-allied Yemen, an impoverished country of 25 million that shares a long border with the world’s top oil exporter Saudi Arabia, has been in turmoil since 2011 when mass protests forced veteran President Ali Abdullah Saleh to step down. At least 200 people have been killed this year in battles pitting the Houthis – named after the tribe of their leader – against the government and Sunni tribal allies, according to Reuters news agency. Officials accuses the Houthis, who have fought short but devastating wars with government forces since 2004, are getting weapons from Iran. This entry was posted in Middle East and tagged Agence France-Presse, Ali Abdullah Saleh, Amran, Arman, Houthi Fighters, northern city, Shiite Houthi, Yemen Shia. Bookmark the permalink.